Addiction, whether of alcohol or drugs is one of the greatest challenges that society is grappling with. The number of alcohol addictions and deaths from overdoses are on the rise. Unfortunately, that number is set to increase exponentially as drugs become more available and cheaper. One of the issues that makes addiction a problem is that many people addicted to drugs or alcohol live in denial of their addiction. Consequently, they cannot get help when they need until it is too late. American statistics show that an estimate of 17.3 million Americans heavily use alcohol. This statistic is just a tip of the iceberg. There are 22.7 million Americans who need treatment for either drug abuse or alcoholism. The bad news is that only 1% of such people seek help for their conditions. 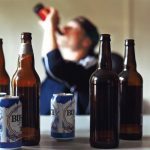 The legality and availability of alcohol has made it one of the most commonly abused substance unlike other addictive substances. Alcoholism dependence is a result of a combination of genetic, physical, psychological and genetic actors. People with alcohol use disorder and drug abuse issues need to start the addiction treatment process. Detoxification is only the beginning of the treatment. Their bodies have learned to depend on alcohol and once it is taken away the physical effects become hard to cope with. They need a drug or alcohol for your body to feel normal. 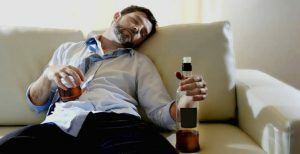 In circumstances where THEY feel like their physical and mental functioning is incomplete without alcohol or drugs is your system, it is the high time you start the detox process. They experience withdrawal symptoms without using the drug such as insomnia, nausea, sweating. Many alcoholics have tremors when they go a day without alcohol in their system. Drug addicts become agitated if they don’t get a high as their body is used to. Such situations are a red flag for the need of a detox. They have drug and alcohol tolerance. Tolerance is a situation where people who take alcohol or abuse drugs find that the same quantity of drugs or alcohol has a diminished effect than it previously gave. As a result more alcohol and drugs are needed to achieve the same results. They drink more alcohol in a short period of time. Where a person consumes large quantities of alcohol or drugs in a very small time frame, there is need to pursue a detox. They try to quit without success. Quitting alcohol or drug addiction is not easy and can take a toll on someone’s health. It is no surprise that many alcoholics and drug addicts relapse even after trying time and time again to quit. A detox is essential in this scenario especially an inpatient detox program because then the addict’s health can be monitored and the chances of a relapse are greatly reduced. They avoid certain social functions because they want to hide their alcohol or drug abuse. In many cases, they avoid such functions because they want to engage in heavy drinking or drug abuse. As a matter of fact, isolation is one of the important signs of addiction. Therefore, a person who avoids social functions so that they can hide their addiction needs a detox. They continue consuming alcohol or drugs even where certain health conditions are aggravated e.g. ulcers or depression. It is unfortunate that many alcoholics and drug addicts continuously abuse the substances despite suffering from detrimental conditions. Alcohols and drugs have been used as an escape. It is inevitable that such a person will need a detox if they are intentional about self-preservation. Their freedom has been threatened because of some choices they have made under the influence. It is incredible just how being under the influence can lead people to make terrible mistakes. For example drunken driving, violence or possession of a controlled substance. Many of these decisions can only be made when a person is on alcohol and drugs. These decisions have consequences that could get a person arrested. Under these circumstances, a detox is vital. They have harmed themselves or others under the influence. It is common to find addicts and alcoholics dealing with mental illnesses or suicidal thoughts. Some may have attempted suicide or even harmed others. The cycle may go on and on unless the person begins detoxification, the first step of drug rehabilitation. They have lost their jobs or been kicked out of school due to drug or alcohol related issues. Alcoholism and addiction is associated with a few delinquencies, not showing up for work or turning in their assignments past the due date. Moreover, they neglect their responsibilities and they are dismissive of the consequences. It is paramount for this person to begin the detox process. They have been told by their family and friends to stop drinking alcohol or using drugs. When close family and friends begin to notice the addiction problem, they may ask the person to halt the drinking. This is because they can easily see the effects of the addiction from the outside and are genuinely concerned. Hence, if a person receives comments and appeasements from family and friends to give up alcoholism and drug abuse, they should stake the first step of treatment and start the detoxification process. They live in denial. There is nothing as dangerous as denial. Denial is the root of all problems for addicts and alcoholics. They are always making excuses and giving reasons to why they drank. Moreover, when they are told that they are addicts, they utterly disregard such comments. Thus is a person begins detecting that he/she is living in denial or other people pass that judgement concerning their addiction, then it is definitely time to begin a detox program. Treatment of an addiction or drug abuse always begins with detoxification. A detox is the process of ridding the body of any harmful substances. When it relates to drug and alcohol, a detox is the process of eliminating these substances from the body. Detoxification can be quite dangerous especially if not assisted and monitored by a medical professional. The process is dangerous because of the severe withdrawal symptoms associated with it. It is therefore important to be medically assisted to reduce the effect of the withdrawal symptoms and to ensure safety. Detoxification usually involves medications which mimic the effects of drugs. As a result, the withdrawal symptoms are reduced. It goes without saying that the longer the period of addiction the more severe the detoxification process is. Why? The body has become so dependent on the drug overtime therefore it becomes harder to wane it off the drug. An addiction for a short period of time lessens the severity of the detoxification process. Research has shown that patients who were put of an inpatient detoxification program showed higher successes in recovery when compared to those who pursued outpatient programs. A conclusion can be drawn that inpatient programs are more efficient and effective unlike other programs. What are the alternatives to a home detox? Under inpatient residential care, an addict is fully committed to a program for a duration of time. They go through the detoxification process while under supervised care 24/7 and are only allowed to go home after they complete the rehabilitation program. The impatient residential care is essential for people who have been addicted for a long period of time and are afraid of relapsing. Under outpatient care, the patient has scheduled visits and goes home after receiving treatment. Outpatient care is important for addicts who need family support and care. These are rehabilitation centers that care of patients of a certain gender. Such specialization allows for more interactions and encouragement because people of the same gender can easily relate to the issues they face. Teen rehabs handle patients of the adolescent age who have a different perspective and outlook of things. The treatment process for teen addicts is quite different from that of adults because it incorporates other activities relevant to teenagers. There are instances where an addict is simultaneously suffering from a mental condition such as psychosis and a drug or alcohol addiction. In these circumstances, their treatment must take care of both their mental and addiction conditions. The dual diagnosis drug rehabs are specially equipped to handle patients of this nature. These are inpatient programs that follow the mind-body-spirit approach. Their programs are centered around alternative methods of treatment such as yoga etc. Offer treatment integrated with certain religious beliefs. A separate facility may be used or detoxification before transition to an addiction treatment program. There are centers that only offer detoxification programs while others offer both detoxification and addiction treatment services. The program of choice is dependent on the patient’s decision. The first thing that the medical team does is to evaluate the patient for any physical or mental health issues. Screening involves using blood tests to measure the drug levels in the system in order to accurately determine the level of medications needed. Other tests include reviews of drug, medical and psychiatric histories to set up the foundation for the patient’s long term treatment plan. The medical team will have to stabilize the patient with medical and psychological therapy. Stabilization is non-trivial to avert any form of harm to the patient. Furthermore, medications can be prescribed to prevent complications and mitigate withdrawal symptoms. This is the final step before a detox begins. Patients are informed about the treatment process and what they should expect to experience. Since inpatient rehab is well supervised, patients have a higher likelihood of success after the detox. The duration of a detoxification varies depending on the drug abused. Some drugs can be cleansed off the body in 3 to 5 days while other long acting drugs like methadone can take up to 21 days. A medical detox provides patients with medication so as to address complications and withdrawal symptoms that arise from the detox process. Take for instance seizures that result from alcohol withdrawal. These will require immediate medical management. The major aspect of a medical detox is the administration of medications that alleviate cravings and withdrawal symptoms. It is also referred to as a social detox because it involves an individual stopping the use of a drug or alcohol in entirety. Simply, it is going ‘cold turkey’ without supervision of healthcare professionals. The social nature of this model comes in where professionals only offer emotional and psychological support throughout the detoxification process. However, no medications are administered to regulate the withdrawal symptoms. Though people do successfully recover through this detoxification model, it has the potential to be very unpleasant and distressful. 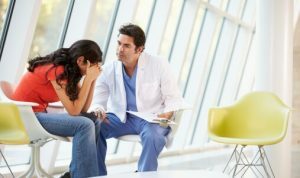 Under behavioral therapy, the patient goes through behavioral therapy to determine the underlying condition that led to the addiction in the first place. Addiction is not only troublesome to the addicts only but also to their families. Such strains on the family unit need to be handled during family therapy sessions. Healing for the family unit is to be treasured. What detox method is utilized? Are there any insurance plans acceptable? What kind of amenities and services are offered? Does the program help patients with their transition into addiction treatment? What are the credentials of the staff members? Rapid detox: Is it really safe? We cannot fail to address the issue of ultra rapid detox programs which some patients are opting to follow. This process still remains to be controversial over the years because it has possibilities of producing very dangerous results. Rapid detox uses general anesthesia which is administered to a patient in order to initiate the withdrawal process. Since they are under anesthesia, the patient wild not experience withdrawal symptoms in totality. People who are afraid of the pain of withdrawal symptoms choose this easy way out. The downside is that the length of withdrawal significantly differs from one person to another. There are people who will still wake up and have the full experience of withdrawal symptoms even after the anesthesia treatment. There are other risks involved in rapid detoxification which are: exacerbation of mental health disorders, metabolic complications and fluid accumulation in the lungs. Discovering and observing a person who needs detoxification should not be an individual’s effort alone. Family and friends should also contribute and encourage that person to begin the detoxification period. They need support and a nudge to do the right thing. In the end, both the patient and the family will benefit from the new way of life the person adopts. Without a doubt, detoxification is not an easy process. However, it is a necessary one. Anyone who is convicted about their need for a detox should not keep on procrastinating. In the end, the pain and tears will be worth it. A future disaster will be averted. It is better late than never and it is even better to be safe than sorry.